Jamie Vardy scored his 10th goal of the season as Leicester won 1-0 at home to Crystal Palace to remain fifth. Vardy superbly converted Riyad Mahrez' pass after a Brede Hangeland mistake on the hour-mark at the King Power Stadium as he became only the eight player - alongside the likes of Thierry Henry and Alan Shearer - to score in seven successive Premier League games. Leicester are now level on points with Manchester United, albeit having played a game more. The match was one of few chances, with Marc Albrighton's shot which hit the post early in the first half the next best chance of note. Palace felt they should have had a penalty when substitute Wilfried Zaha went to ground in the box under the challenge of Christian Fuchs but Kasper Schmeichel was not a busy man as Leicester secured their first clean sheet of the season. The victory came through another moment of magic from Vardy, whose reputation continues to grow with every game. Prior to the goal, he was quiet, but played with a rippling confidence after it, although he never had any other good chances to add to his tally. Both teams adopted an attacking outlook in the opening stages but the game soon settled into the pattern of Leicester pressing hard when out of possession and playing a cautious style when they had the ball. Albrighton struck the foot of the post on the eight-minute mark, cutting in from the right wing and beating Wayne Hennessey in the Palace goal. Mahrez reached the rebound first but his effort was hurried and poor, and flew at least a yard wide of the far post. Palace's best attacking play throughout the contest came through their left-winger Yannick Bolasie but his tendency to cut inside onto his favoured right side often saw his path cut off by the sizeable presence of Wes Morgan. On 38 minutes, Bolasie played in Yohan Cabaye but the midfielder shot straight at Schmeichel, who was never really extended at any point of the match. The tentative sparring continued until the 60th minute, when Hangeland made a mess of a routine clearance, stretching to touch the ball to an unmarked Mahrez. Mahrez's pass was perfectly weighted into Vardy's feet but he still had some work to do, and expertly lifted the ball over Hennessey, who had left his line at full speed, before slamming it into the net. Palace took chances by committing extra players to attack as the game went on and might have got a point had the referee taken a different view on a Zaha tumble which could have gone either way. But Vardy was again the difference. "It was a decent enough game but without really the quality in the final third that we've been used to from these two teams in the final third this season. I don't remember the 'keepers having to make a shedload of saves. I think Kaspar Schmeichel probably made a few from long-range efforts but it was just one piece of quality from Jamie Vardy that separated the two teams, even though it was really gifted to him by Brede Hangeland. "Crystal Palace just didn't seem to have that focal point. I think Fraizer Campbell didn't have any impact on the game whatsoever; you expect the three lads in behind him to cause a few problems but they need somebody there to bounce off. Patrick Bamford came on but he had very little impact on the game as well. They lacked that little bit of creativity but you've got to give credit to Leicester, who defended pretty well." 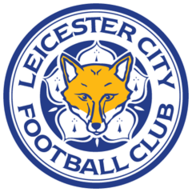 Leicester: Schmeichel (6), Simpson (6), Morgan (7), Huth (6), Fuchs (6), Albrighton (6), Drinkwater (6), Kante (6), Schlupp (7), Mahrez (6), Vardy (8). Subs used: Okazaki (7), Dyer (6). 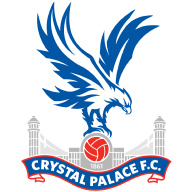 Crystal Palace: Hennessey (6), Mariappa (5), Dann (6), Hangeland (5), Kelly (6), Cabaye (6), McArthur (5), Sako (6), Puncheon (6), Bolasie (6), Campbell (5).